ee the Application Event Log for additional information. is running within the valid grace period. 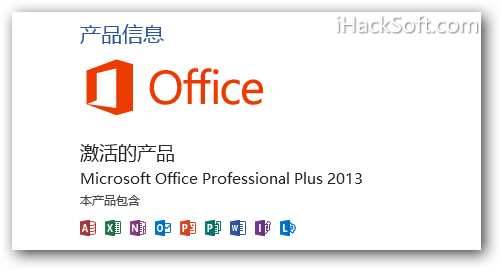 楼主大人您好!我的是win7 32 bit 依照你给的最新Office 2013 KMS激活程序_iHackSoft.com_20121230.rar去破解,似乎没成功.我的是vol版! 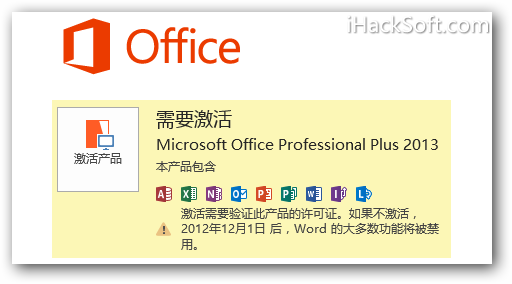 你好,我试过很多方法都没办法激活,我的是win7 64系统,安装的是office2013 pro X64, 有可以给我一个吗 sq_fei@hotmail.com 谢谢!! ERROE DESCRIPTION: The software licensing service reported that the product could not be activated. The count reporeported by your key management service(KMS)is insufficient. Please contact your system administrator. lou zhu ! 求 key!! ERROR TEXT: The Software Licensing Service reported that the license is not installed. ERROR TEXT: The Software Licensing Service reported that the product could not be activated. No Key Management Service (KMS) could be contacted. Please see the Application Event Log for additional information. 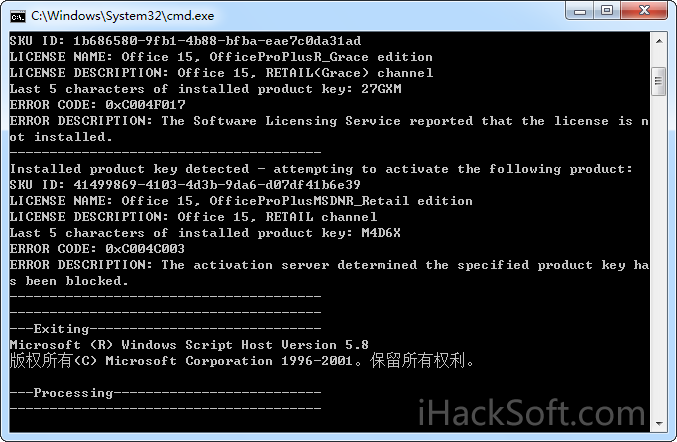 ERROR DESCRIPTION: The Software Licensing Service reported that the product SKU is not found. 人机验证：1 + 2 = ?